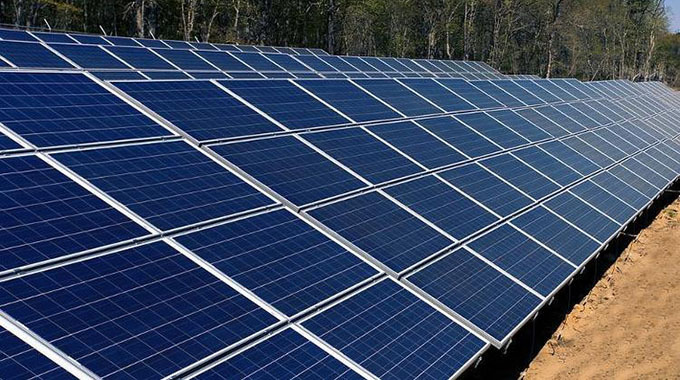 Three independent power producers have applied to the Zimbabwe Energy Regulatory Authority (ZERA) for licences to establish solar power plants that will add about 100MW to the national grid. The three include Schweppes Zimbabwe Limited, which seeks to establish a 1MW photovoltaic rooftop power plant at its premises in Harare; Lumigar Solar (Private) Limited that seeks to construct a 65MW plant at Cactus Hill Farm in Chegutu; and Zhenje Solar Park (Private) Limited that intends to construct a 33MW solar power plant at Makokoro in Seke District. The development comes after telecomms giant Econet Wireless recently commissioned a 466kW solar power plant at its Willowvale industrial complex in Harare, the largest commercial and industrial carport and roof mount installation of its kind to be deployed in the country. Zimbabwe could make huge savings on energy import costs, achieve its Sustainable Development Goals (SDGs) on energy and contribute towards Vision 2030. Under the Transitional Stabilisation Programme (TSP), Government identifies solar as an alternative source of power, particularly for rural households in off-grid areas and seeks adoption of renewable energy sources. In the case of Schweppes, the electricity will be for its operations while the other two companies intend to sell the power they generate to the Zimbabwe Electricity Transmission and Distribution Company.